Many things are being redesigned in my life over the last few months and the most amazing one is becoming the father of little Bianca. It’s true when they say that you don’t know what it’s like until you become a father. I’ve also had the time to do some thinking and redesign my professional activity, giving my freelance business a push. For the last 12 years I have been working for other people and now I think it’s time for me to try the rōnin designer’s way. Therefore, I had to engage in what designers do once in a while: redesigning my portfolio. When you redesign your portfolio, not only are you being confronted with a blank browser window but with a head full of voices of extreme self-criticism and agonizing self-doubt. 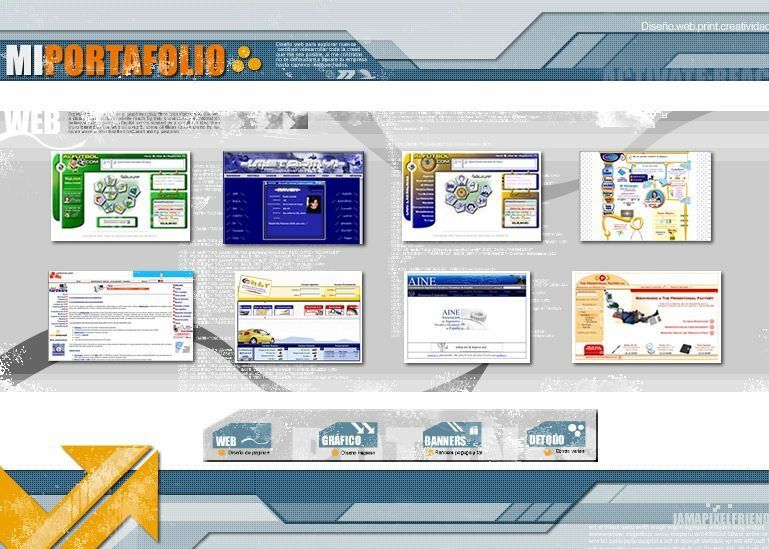 Rewind 13 years ago, and you’ll find me as a 25yr old, sitting in his desk browsing flashkit.com for a scrolling piece of actionscript, to tweak and show what I had done in my long web design career of 1 year. The thing is that back in those days, I felt the pressure of creating something that would live up to what was expected of a designer’s portfolio at that moment. How well are you adapting responsive design to your website? Are typography and color choices correct? Does your code smell? Is what you are doing Future friendly? all those voices can make you forget about redesigning at all. However there is one simple recipe to overcome that fear and self-doubt: Just start working and don’t listen to them, as simple as that. Get into the action and forget about your doubts, hey, everyone has them. Even the "superstars", they are a fistfull of doubts just how you are. The difference is that they worked their asses off to prove themselves that they can do it. Make it ugly, screw all the interactions and UX, the idea is that it will only get better from then on. Everything you do from that moment will be better, and you won’t feel that anxiety of creating something wrong, because you just did. Once you gain “momentum” you’ll start seeing things falling into place, try and fail and trust your guts, eventually you will achieve a portfolio that might not be the best one out there, but it was your honest creation and you will be happy with it, at least that’s how I feel right now.